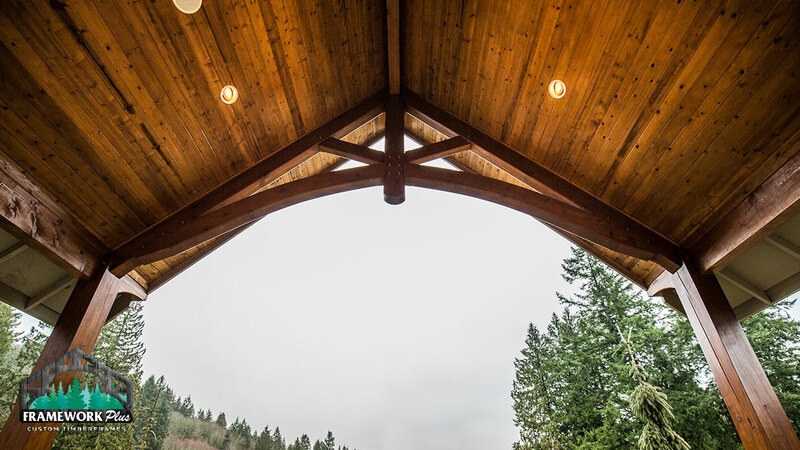 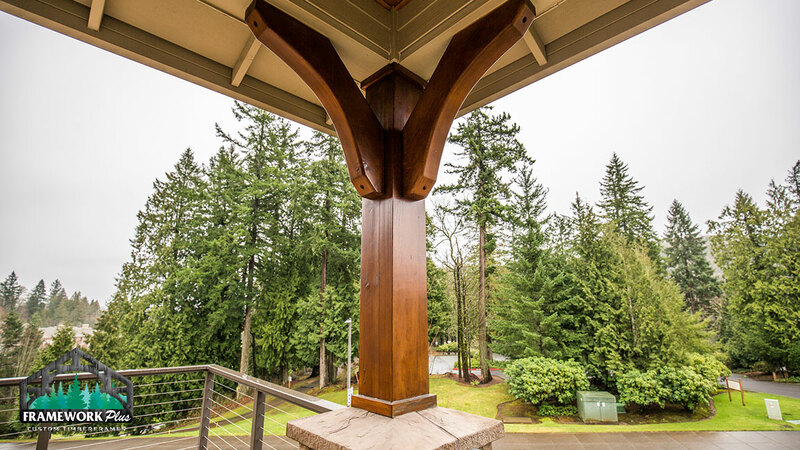 Located in Gresham, Oregon, this custom home includes three interior trusses made by Framework Plus, a fourth truss to create an outdoor patio cover, and a matching timber frame entryway. 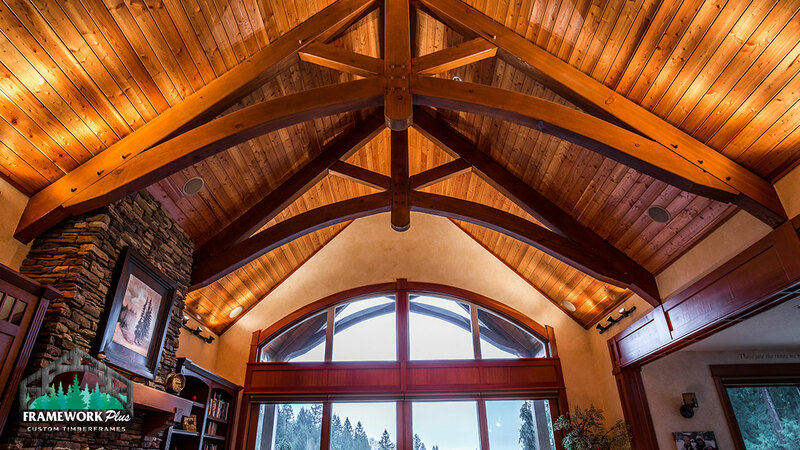 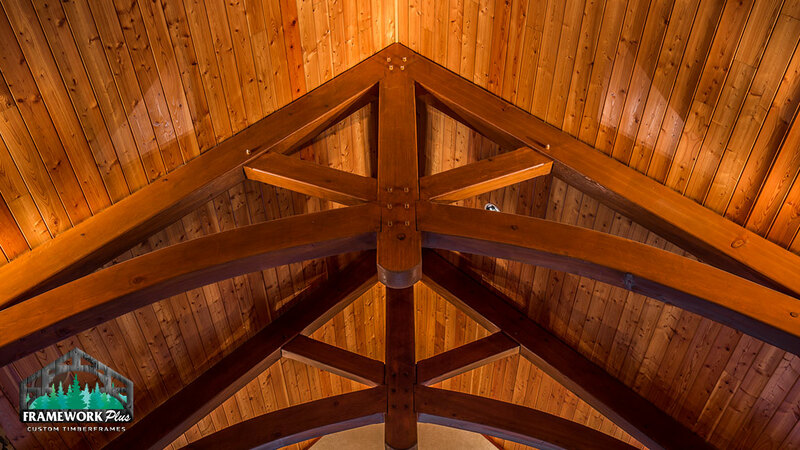 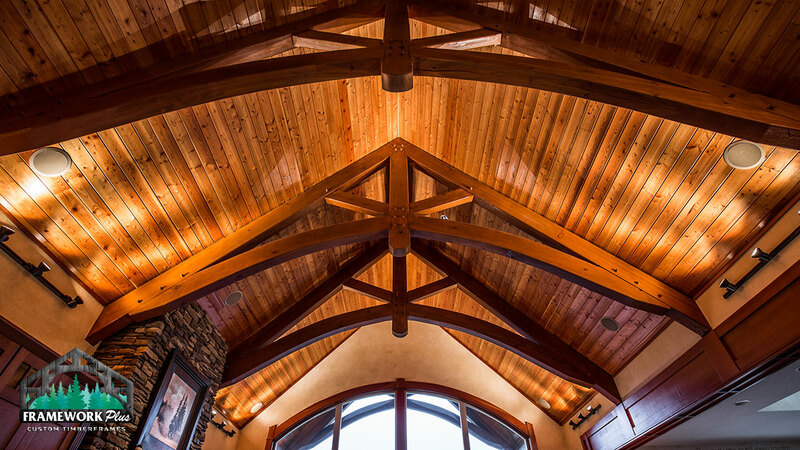 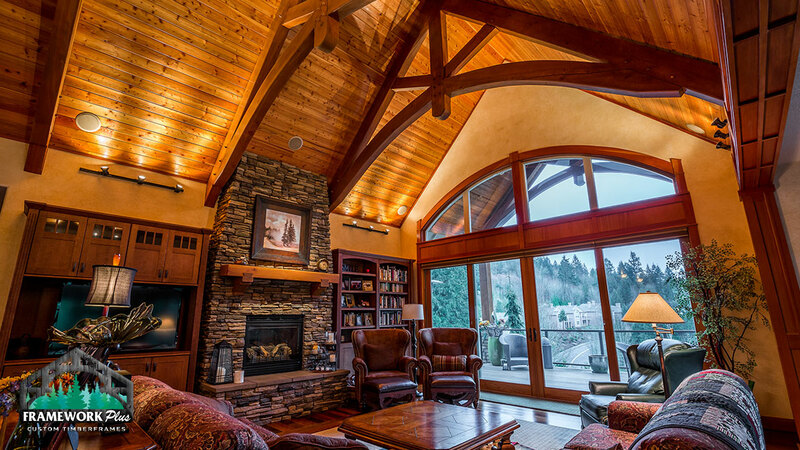 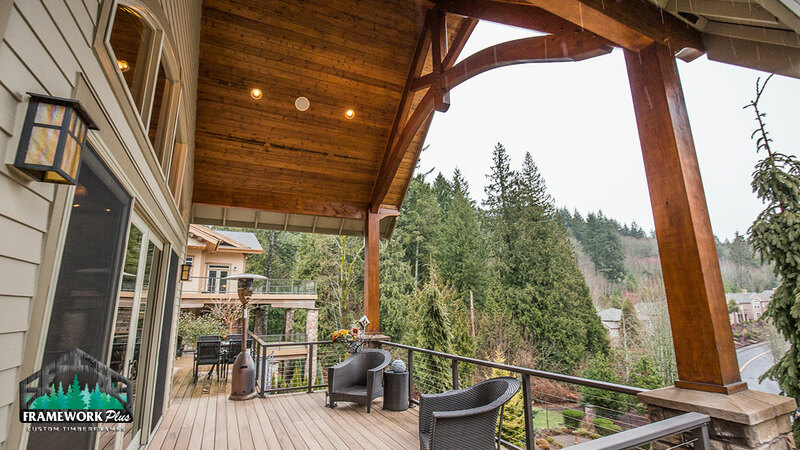 The beautiful handcrafted timber trusses inside the home create a majestic timber frame feel in the center of a conventionally framed home. 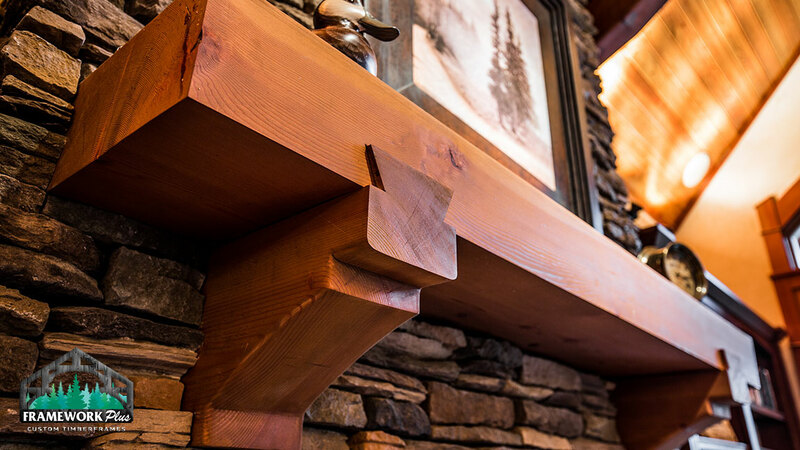 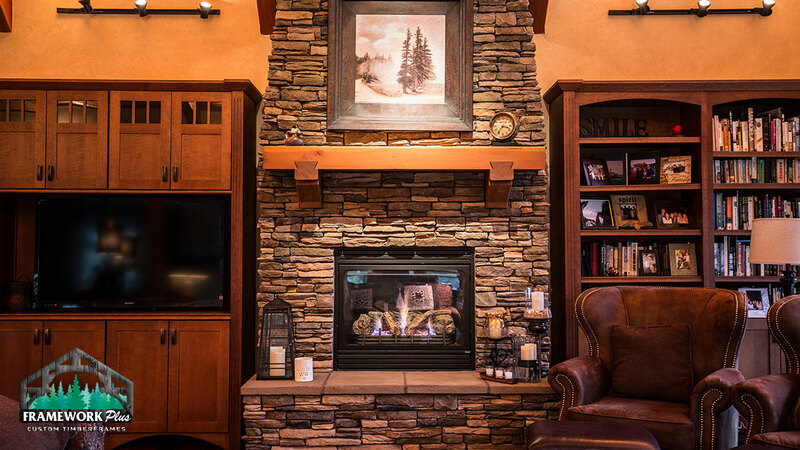 A stunning custom fireplace mantel was added to enhance the rustic aesthetic. 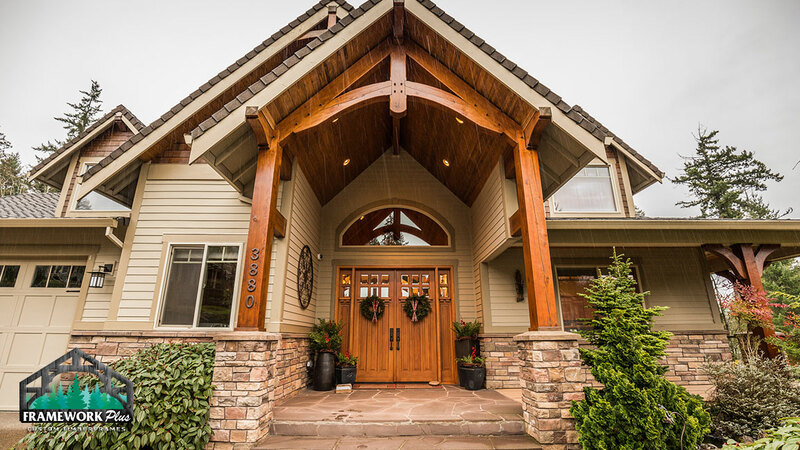 The beautiful entryway gives visitors a preview of the luxurious custom finishes they’ll see inside.